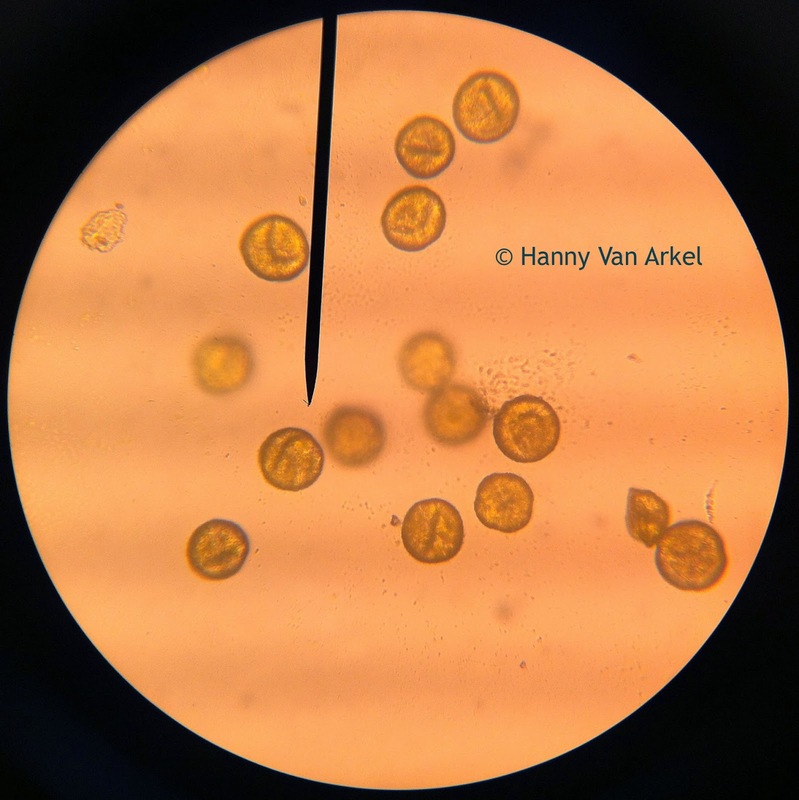 The following images of pollen were captured by Hanny van Arkel, a biology teacher in the Netherlands, using a student microscope. You can view more of her pollen images here! 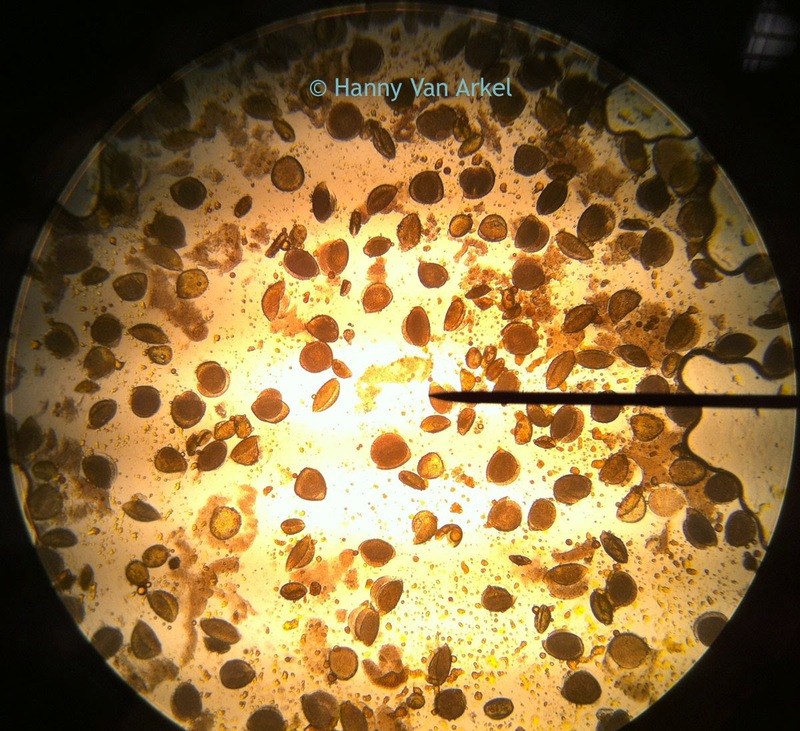 The flowers with the pollen on them were brought into class by Hanny's twenty-six 13-year-old students. 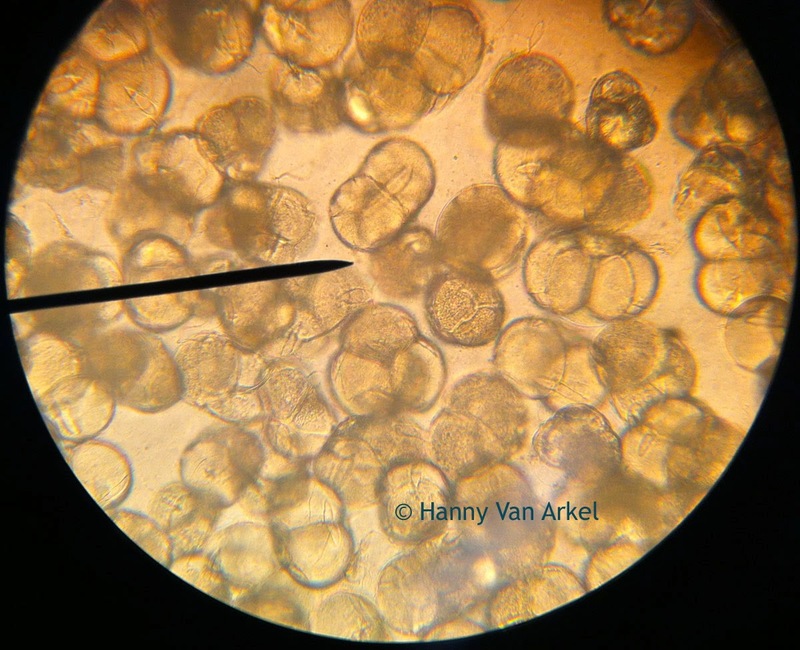 Pollen under the microscope at 100x magnification. 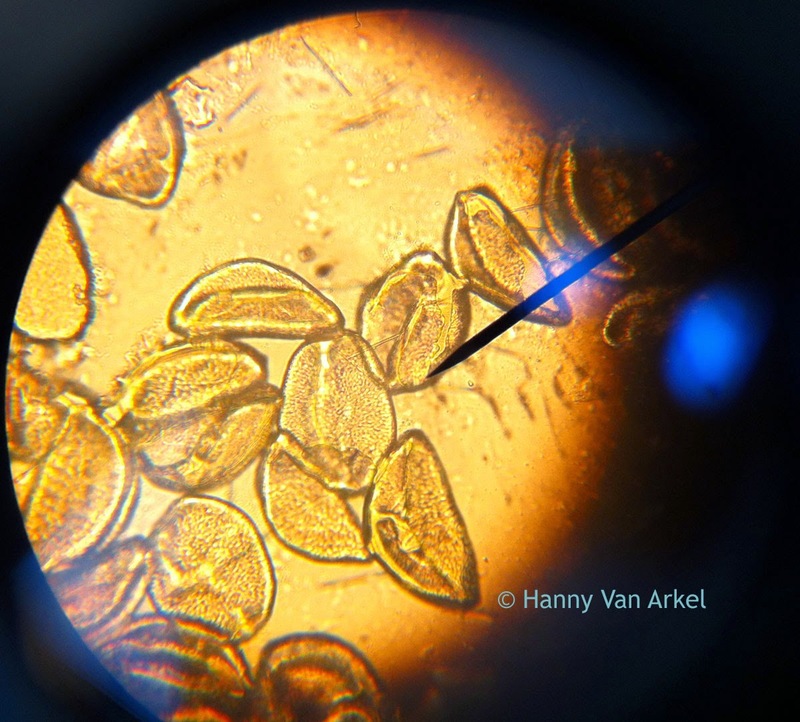 Pollen under the microscope at 400x. 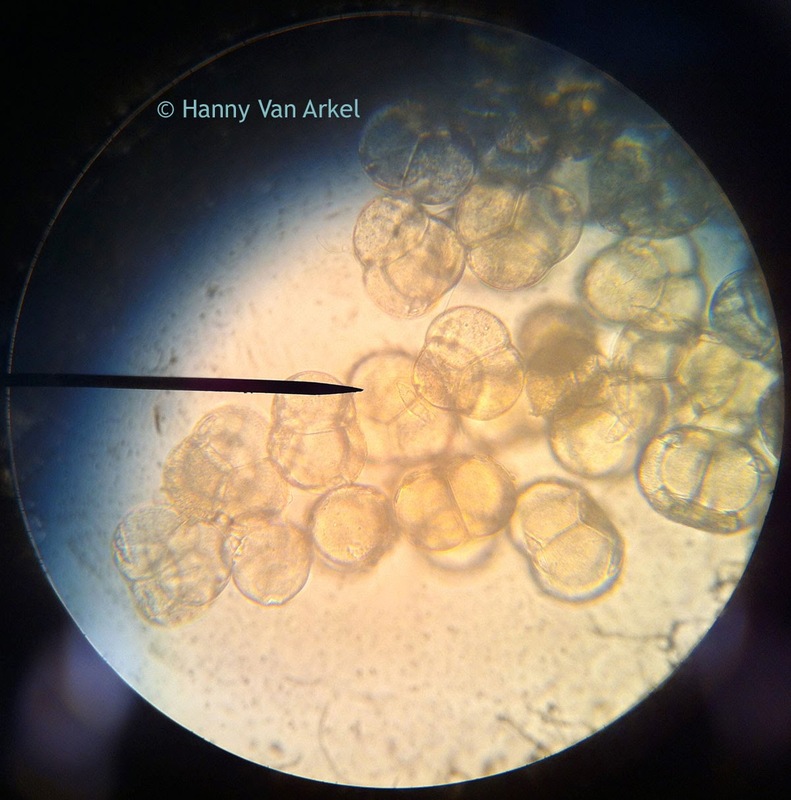 Thank you to Hanny van Arkel and her entire Biology Class for sharing these microscopy pollen images. If you have some images you would like to share, please email us.